"We want our music to leave no one indifferent and that's why we crank it to 11 at every show to brand it into the memory of the audience. And as soon as you insert our CD, the memories come to life." BEATRAY is a four-piece metal band out of the middle of Germany. Behind the name BEATRAY musically there hides a very charged, raw and recognizable sound. Their songwriting reflects various facets that access emotions pulling it out of the audience. The lyrics showcase what both in fantasy as well in real life arises, being things driving the thoughts of everyone around. Musically very intuitive and natural BEATRAY catch your attention with clear vocals surrounded by versatile riffs and rhythms. An excellent example of this is their debut album "A Ship's Call". In cooperation with sound engineer Nicklas Sonne (Defecto, Malrun, Co-Producers of Flemming Rasmussen in Sweet Silence Studios) They provide the first glimpse of what makes this band. Such impressions are expected the same in a live package, wrapped in an engaging, energetic and present live show. 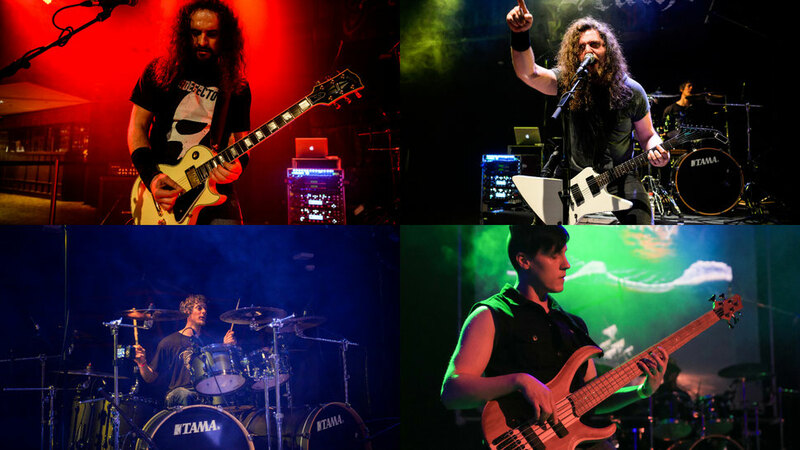 Established by brothers Tommy and Steven Vogel in 2010 they form a tight unit with Michael on bass and Stefan behind the drums. BEATRAY are ready to conquer the musicworld and bring their Thrash-Metal-Steamroller-shows into every corner of the globe.